Europe has long been a favourite vacation destination for Canadians. Due to good international relationships, travel has been easy and hassle-free. But if you are planning a European vacation, make sure you are informed about your destination’s entrance requirements. 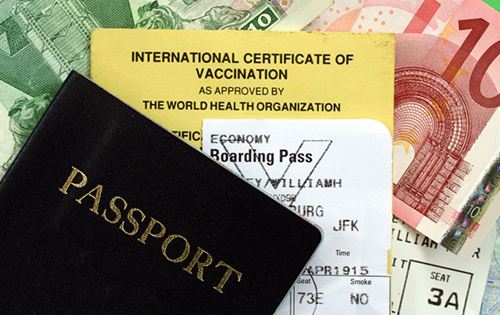 For the past few years, some European countries have been requiring proof of travel insurance in addition to a passport or a visa. According to Global Affairs Canada, you may not be allowed entry into countries such as the Czech Republic, Poland and Latvia without it. As your provincial or territorial healthcare plan may not meet the European coverage requirements for health insurance, travellers are encouraged to purchase an additional private health plan, usually available through your local insurance broker. Before you embark on your European vacation, be sure to find out about your destinations’ entrance requirements. To do this, you can check out the DFAIT website. Look for the countries you are planning to visit to find out if your coverage meets the minimum requirements for entry. Any requirements can be found under the Entry/Exit requirements section of each page. Be aware that requirements can change from day to day, so it’s never a bad idea to check the website once you’re planning your trip, and again right before you travel. Be prepared and enjoy your vacation to the fullest.